Suggested post: Drunk and drugged driving is not just a crime, it's also dangerous. When you get behind the wheel under the influence, you put others at risk. 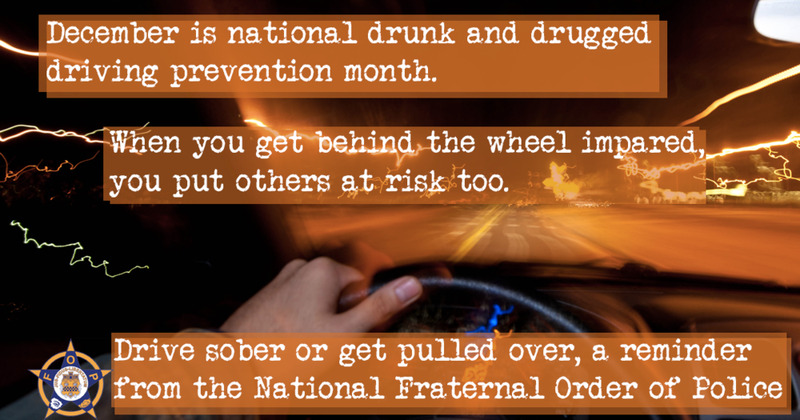 Share to raise awareness for National Drunk & Drugged Driving Precention Month.